Starting from building your accounts to improving engagement and management, we offer services that help your online presence grow in popularity and interest. Together we work to come up with the most effective plan for your social media presence, ensuring that your audience is engaged while we also help you expand in popularity. Going from management to engagement up to content creation for any industry, helping you share original content that will keep your followers interested while gaining you a bigger audience. 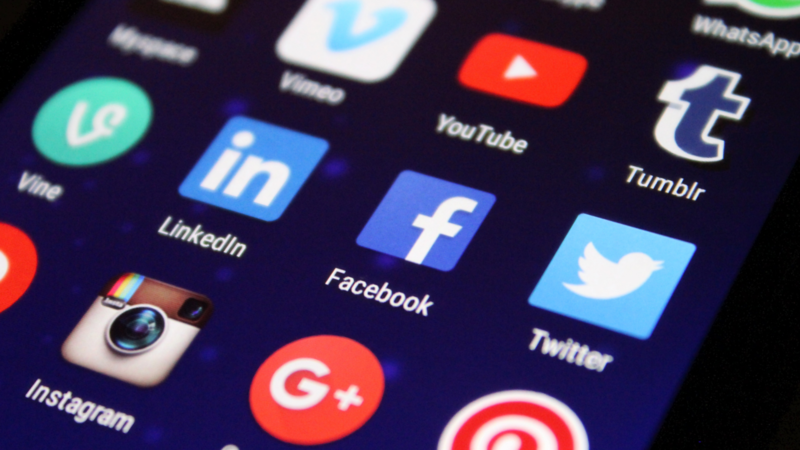 We offer work across all channels and by keeping up with the latest tools and trends for management we can provide a social media strategy that is effective and up with times. Our social media campaigns are based on an affordable and engaging plan, with excellent performance shown across all channels. By forming and deploying the budgets for an organic and paid reach, ensuring you that the content you share on those platforms will be viewed and well received by a wide number of users. High visibility and innovation will be mixed together to provide you with the ultimate social media campaign. As the effective advertising and marketing lead to a bigger number of interested followers, we’ll help you make sure that you can provide them with a constant flow of original content they can enjoy. Our team of creatives and copywriters will work closely with you to understand the brand’s audience and therefore deliver the most suited content, something innovative and interesting that will keep them following and sharing. The way to social media success is made through frequency and quality, and we work to ensure both to your audiences. When working on a social media campaign with us you can be assured that the growth in followers and interest won’t be slow and tedious. We offer a pool of influencers for any industry that can help you boost PR via creative solutions specifically tailored to your brand. Those social media personalities allow high engagement and will provide endorsement for products/services you offer on their channels, leading to sales alongside improved reputation. We help in boosting PR, with creative solutions creating hype for brands. We have a pool of influencers which we can identify for a broad range of industries. Influencers allow high engagement for a brand, they will help endorse a product/services via their social media channels. Our extensive contacts with companies going from startups to major corporates leave us a wide choice of figures in any industry that can help communicate further with the target audience. Raising awareness for your brand in a supportive and effective way, ensuring that you can reach out to the exact kind of audience that you know will be interested. Another key element when it comes to growing your audience can be the useful help of brand ambassadors. We can provide you with a wide network of brand ambassadors that are available and can engage with your new audiences naturally and effectively. Our role will be to help you find the perfect one for your brand, making sure that their addition will offer that next push that will quickly and successfully help you achieve the wider target audience you could aim for. We provide a successful and quick solution to expanding and gaining the interest of your target audience via combining the communication channels. We’ll make sure to match you with the most suitable media partners, while helping you gain an effective response to the message you share. Joining forces with others will help you grow as a brand and gain the exact kind of followers who will support you and the products/services you offer.